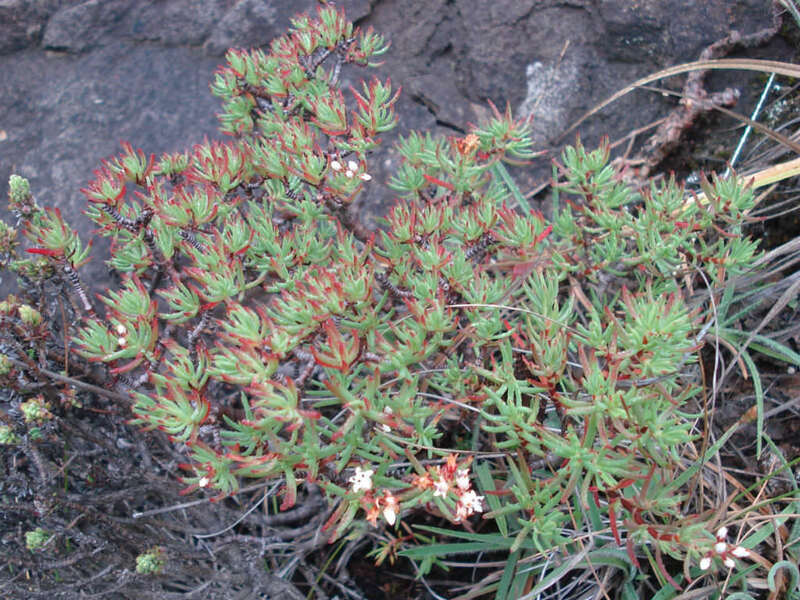 Crassula sarcocaulis subsp. 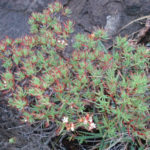 rupicola is a low growing shrub, up to 2 feet (60 cm) tall. 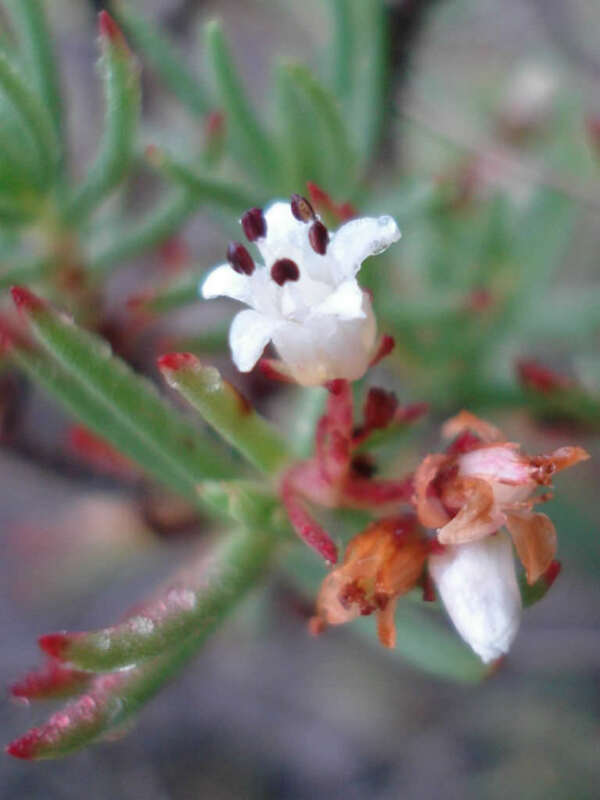 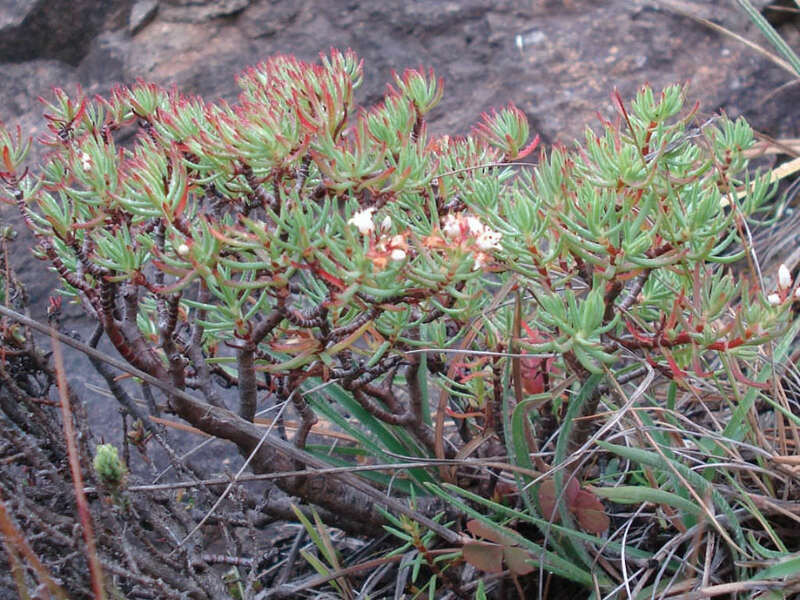 It is upright and spreading and much branched then Crassula sarcocaulis, forming dense shrubs with main branches up to 2 inches (5 cm) in diameter. 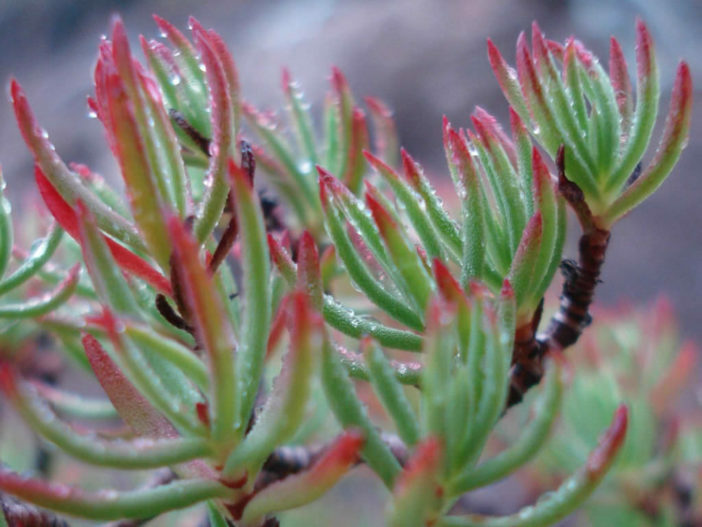 The leaves are linear to lance-shaped and broadest towards the base and up to 0.4 inch (2 cm) long. 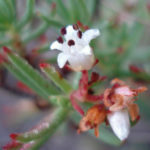 It flowers in late summer to fall. 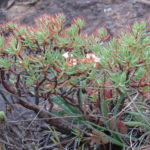 It is mainly found in the Drakensberg Mountains in Mpumalanga, Free State, Lesotho, KwaZulu-Natal and the Eastern Cape, as well as in Malawi. Previous ArticleWhat are Monocarpic Succulents?